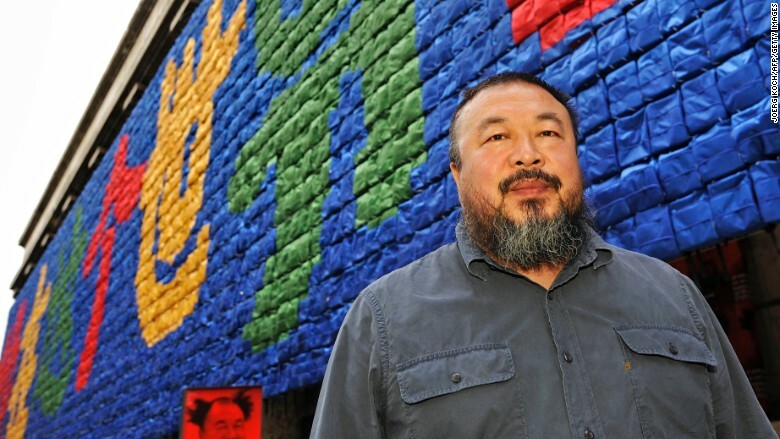 Dissident Chinese artist Ai Weiwei says Lego refused to sell him toy bricks for his artwork, calling it an "an act of censorship and discrimination." Ai -- known for critiquing censorship by the Chinese government -- said he intended to use Legos for a piece destined for an Australian exhibition in December. In an Instagram post on Saturday, Ai wrote that Lego sent an email in September saying, "We are not in a position to support the exhibition ... by supplying the bulk order." Lego spokesperson Roar Rude Trangbaek declined to comment on Ai's case, but said "we refrain -- on a global level -- from actively engaging in or endorsing the use of Lego bricks in projects or contexts of a political agenda." Ai claimed that Lego acted with its own political motivations. He pointed to plans to build a Legoland in Shanghai announced last week. The artist's social media accounts were flooded with condemnations of Lego's decision over the weekend. He posted photographs of Legos in a toilet bowl; one caption reads, "Lego's refusal to sell its product to the artist is an act of censorship and discrimination." Ai retweeted someone who said Lego had denied "creativity and freedom." The artist used Legos for a piece presented in the U.S. last year. It included 176 portraits of people imprisoned or exiled "for their beliefs or affiliations," including 38 Chinese activists. Supporters flooded social media with offers to contribute their Lego collections to supply his new project. Ai promised to "find a way to accept" donations, and on Monday tweeted a mailing address. Ai planned to include the piece at the National Gallery of Victoria in Melbourne, Australia -- where work by Ai and Andy Warhol is set to be exhibited starting December 11. The museum describes it as a "major international exhibition featuring two of the most significant artists of the twentieth and twenty-first centuries." Correction: The headline on an earlier version of this article attributed a quote to Ai Weiwei that was, in fact, a quote from a tweet by someone that Ai retweeted.